Whether you're shopping for a new living room sofa or are ready to refill the couch stuffing in your existing furniture, the material used inside your favorite binge-watching spot matters. Cushion filling refers to the materials used in your couch to give it softness and shape. The best sofa filling for your needs depends on how soft or firm you want your sofa to be, as well as the style of cushions on the couch. What Are Sofa Cushions Filled With? Foam (or foam-clad inner springs). Combos may include a foam base with a down ticking surrounding it for extra softness, a mix of feathers and down or a polyester artificial down. What's inside your sofa also depends on the size. You may find foam stuffing for chairs and loveseats or batting for oversized L-shaped sectionals. What Is Fiber Down Blend? A popular combo of materials for your couch stuffing is a fiber down blend. A fiber down blend is often found as a wrap around the base of the foam (or springs) in cushions. It's a mix of fiber and down feathers (or artificial polyester down, which is perfect for those with feather allergies) and adds softness to a seat without sacrificing shape. If you've ever had a mixed down comforter that used fiber in the batting, you'll know how soft and cozy this material can be. Without a foam base, a fiber down blend is super soft and may be used in throw pillows and back cushions. For luxury softness, down and feathers are the way to go. Sometimes instead of a foam base, the best sofa filling is a spring down. Like inside a mattress, the springs absorb and transfer weight when sitting. This provides more support and increases the longevity of your furniture. The main difference in spring down cushions vs. foam cushions is the shape. Foam cushions can lose shape over time. Low-density foam is comparatively inexpensive, and the foam won't last as long as a mixed material. Spring down cushions may actually use foam to wrap or encase the springs. The down refers to the material that encases the interior springs. You'll feel the softness of the down to the touch and when sitting but will have the support of springs to keep you from sinking into the sofa. Is Duck or Goose Down Better for Couch Stuffing? Both duck and goose down and feathers are used in couch stuffing. The best sofa filling may depend on softness. The main difference between duck and goose down is how "puffy" or soft you want your cushion filling to be. 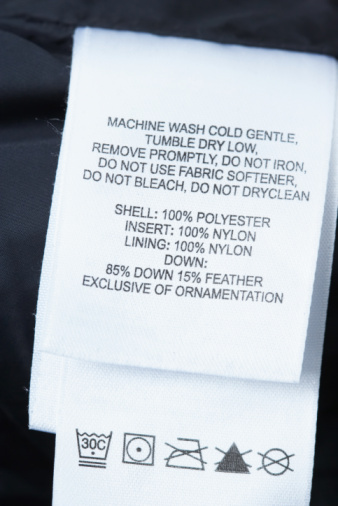 High-end products tend to use goose down since it's more expensive. Since geese are larger birds than ducks, they produce larger down at a higher quantity. Large couch stuffing that needs down will use the larger goose down. Duck down is cheaper and is used in firmer cushions. What Does 700 Fill Power Mean? Fill power is the number of cubic inches an ounce of down covers or occupies within your couch cushion. The higher the number, the more down is used. This gives down comforters, jackets, sleeping bags and sofa cushions their puffy softness and warmth. A couch with 700 fill power will be super soft and will probably use goose down to achieve its softness. Higher fill powers like 750 and up will come with higher prices. Is Duck Down Warmer Than Feathers? When choosing between down and feather, keep in mind that down will always be warmer. The best sofa filling for your needs may depend on how warm you want your sofa to be. Down is soft and traps heat, while feathers allow airflow. When you want a cushion that has natural materials but is also supportive, feathers provide shape and add weight to your cushions. Down is pure softness with insulating warmth but very little shape. The best of both worlds is a blend of down and fiber, or feather, down and fiber used with foam or springs. What Is the Difference Between Down and Alternative-Down Comforters?